Enligt Tom Stone så har eld i kväll den 31 oktober utbrutit på Magic Castle. Alla trollkarlar håller tummarna för att elden ej får fäste och förstör det fantastiska magiska palatset! 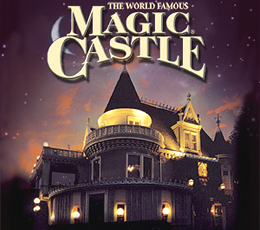 The Magic Castle will be closed tonight, Oct. 31st due to the fire that has just occured. We will post additional details about our re-opening as soon as the damage can be accessed. SENASTE NYTT: The Castle is intact. Milt said the most of the fire and smoke damage was in the attic and some in the upper offices. But there may be some water damage that needs to be assessed in the rest of the Mansion part of the Castle. But, specifically, the Palace and Library areas, which are well removed from the old mansion, are quite safe.